Greenplate® overwhelmingly got the Guernsey receiving full marks for all of the above. 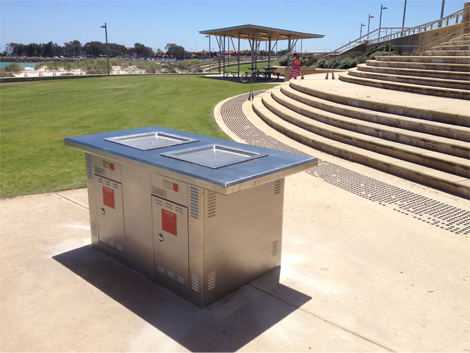 City Of Joondalup chose four Greenplate® Matilda Double Barbecues with extended tops. According to Council these Barbecues have been a huge success. Greenplate® have just received another order for 3 Double Matilda Barbecues with extended tops which will be installed at Burns Beach and Whitford Nodes. Council are thrilled with their Greenplate® Barbecues!